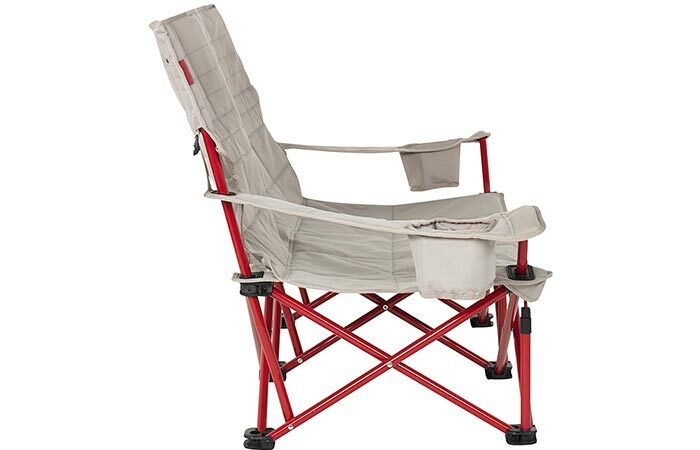 When it comes to comfortable seating, we have featured quite the variety, however, we have never featured something as unique as the Kelty Low Loveseat, which is, ultimately, almost the perfect two-seater camping chair. Designed to be easy to transport, easier to set up and to get that optimal relaxation, the Kelty Low Loveseat is a must have camping accessory. With full back support, the Kelty Low Loveseat even features an adjustable multi-position reclining back so that you are seated in the most comfortable way possible. The Loveseat is pretty lightweight at only 15 pounds but features an extremely sturdy construction since it features a multi-triangular steel frame while the seating itself is constructed out of quilted 600D Polyester. 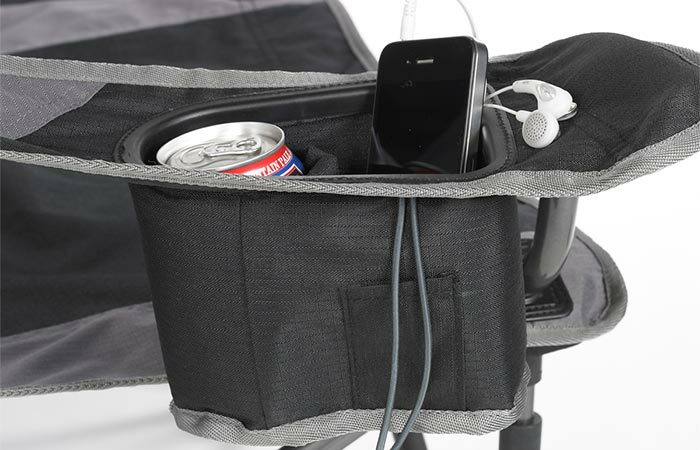 The armrest is adjustable as well and you’ll be pleased to know that it also features an insulated beverage holder to keep your beer cold or your coffee warm. Check out the video below. By featuring a steel frame design and 600D quilted polyester, the Loveseat has a carrying capacity of 400 pounds which is sturdy enough to hold two adults or three children. 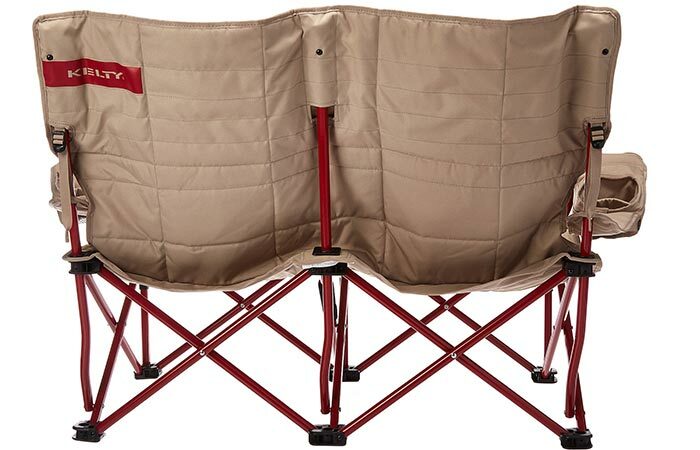 To give the Loveseat a one up on conventional camping chairs, this two-seater features an adjustable multi-position reclining back so that you and a loved one can stare at the stars in the utmost comfort. The added armrest pouch even features an insulated beverage holder to keep your drinks warm or cold and a separate pocket for your valuables and essentials. With all of these features being pretty impressive, it’s an added bonus that the Kelty Low Loveseat comes with its own carry bag to make transportation effortless and it only measures 34.5 x 11 x 11 inches when packed up, but extends to an impressive 44 x 23.5 x 31.5 inches when unpacked and even has a carrying capacity of 400 pounds. It should also come as no surprise that the Loveseat got a 4.9 star out of 5 star rating from 52 different customer reviews on Amazon.